The metric system: The internationally agreed to measurement system that is, with the exception of the United States, the only system of measurement that is used. Mass: The physical property of substances that is the resistance of an object to movement when a force is applied and it is expressed in terms of kilograms (kg). Volume: The physical property of substances that is the measurement of the quantity or amount of matter in a three dimensional space. Time: The duration of things and events during the past, present and future. 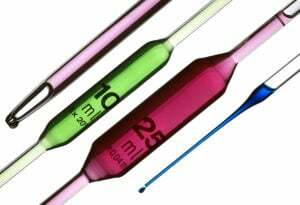 Volumetric pipettes: Used for the precise scientific measurement of the volumes of liquids. The metric system is an internationally agreed to measurement system that is, with the exception of the United States, the only system of measurement that is used. This system of measurement is used to weights and mass, distance and time. The metric system is based on units of measure approved and supported by the International System of Units, which is referred to as the SI units. As you will see below, the metric system is built on 10s and multiples, or powers, of tens. More information about the metric system and other systems of measurement was previously detailed in the Mathematics section of this TEAS review under the heading "Measurement and Data". The base units for weights and mass, volume, distance and time are kilogram, liter for liquid measurements, meter and second, respectively. Time is the duration of things and events during the past, present and future. For example, a kilometer is 1,000 meters and 1 meter is 1000 millimeters. 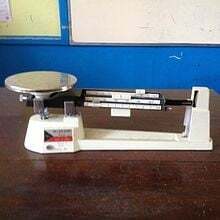 Electronic balance scales and simple weighing scales, as shown in the picture above, weigh objects in the context of gravitational force. 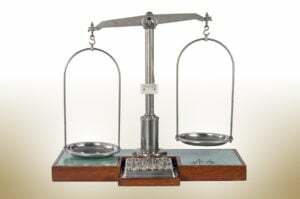 Pan balance scales, as shown above, operate with a fulcrum and two pans. One pan is used to hold a known weight object and the other pan is used to hold the object of unknown weight. Known weight objects are added until the scales are balanced. The unknown weight is then determined when the known weights are balanced with the unknown weighted object. 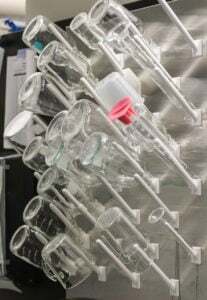 Volumetric flasks, as shown in the picture above, are used for the precise scientific measurement of the volumes of liquids. 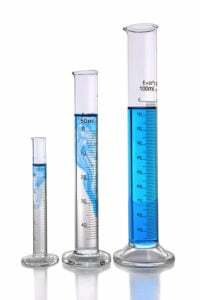 Graduated cylinders, as shown in the picture above, are, similar to volumetric flasks; they too are used for the precise scientific measurement of the volumes of liquids. Again, volumetric pipettes, as shown in the picture above, are used for the precise scientific measurement of the volumes of liquids.